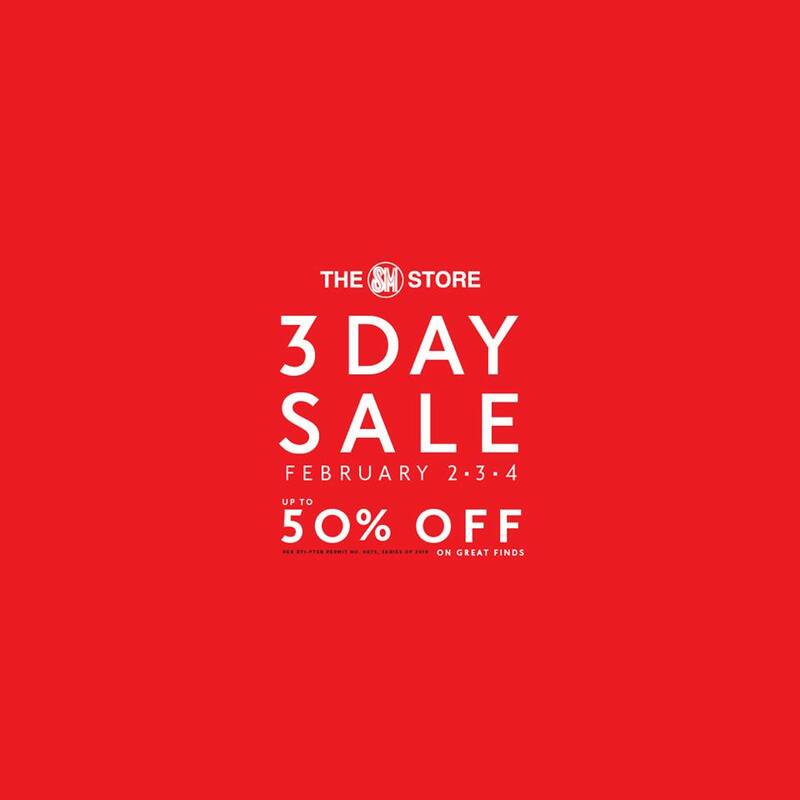 Check out The SM Stores North EDSA, Sucat, Rosario, and Lanang Davao 3-day SALE happening on February 2-4, 2018. 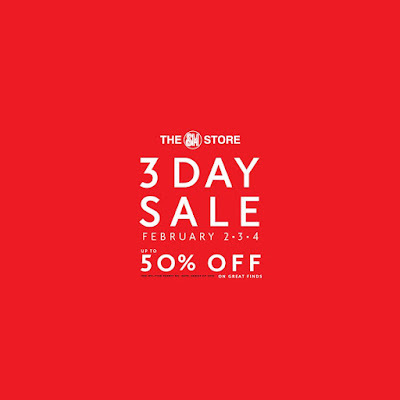 Get up to 50% off on selected items storewide! PRESTIGE FRIDAY: Get an extra 10% OFF on all* items for the whole day with your SM Prestige / BDO Diamond cards. SMAC SATURDAY: Enjoy an extra 10% OFF on all* items until 12 noon with your SM Advantage / SM Prestige cards. Offer is extended to BDO Rewards / Mom / Primo / Love Your Body / SSI cardholders. SMAC SUNDAY SPECIAL: Get an extra 10% off on all* items from 5-7pm with your SM Advantage / SM Prestige cards. Offer is extended to BDO Rewards / Mom / Primo / Love Your Body / SSI cardholders. Plus, bring home a portable fan lamp for only P499.75 and win a Home Entertainment Package in the Globe raffle!